COME AND ENJOY ALL OF OUR HEALTH AND WELLNESS DEVICES! Rarely, has anyone had to wait for their appointment, reading dated magazines at the OHMM CENTRE. With the latest technology in health devices, you are welcome to try some of them while waiting - that's if there is a wait! Meanwhile, these devices can be used for a myriad of health challenges either alone, in combination, integrated into a treatment plan or given as a gift certificate. What's more, you will feel the benefits during and after the treatment! Developed by NASA for astronauts; our T-Zone Whole Body Vibration unit (not a copy-cat), has so many benefits including aiding in flexibility, weight loss, muscle tone, preventing arthritis and osteo-arthritis, helping with incontinence, energizing etc. There are over 30 simple exercises - we'll show you how - but you can only "vibrate" for 10 minutes at a time - And that 10 minutes is like working out in a gym for an hour! This is the real thing! Deep reflexology points on and around your tired feet. So far, everyone who has experienced it has said, Ah,.....I'm taking this home! 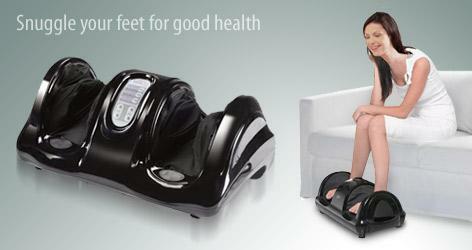 Well not our models, but you can order it from www.keytochi.com, as well as all of our other health devices. Sit, Sway and Swirl your hips like a Hawaiian "belly" dancer, working the abdominal muscles while having fun!!! It will surely put a smile on your face if not have you laughing uncontrollably! Relaxing bed with a whole host of health benefits when used once but especially regularly. Great for the back and legs, lymphatic and circulation systems, weight loss, detoxification, etc. 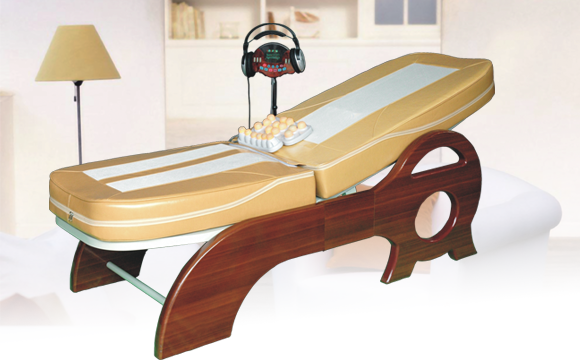 Helps alleviate all kinds of pain - while you relax!.